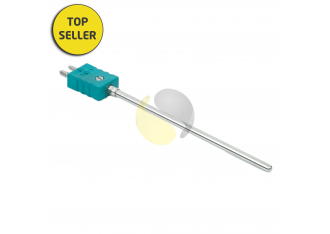 Mineral insulated thermocouples have an operating temperature range from -200 to above 1200°C making them ideal for heat treatment applications. The polarised standard plug allows quick and simple connection and interchange. For more information on the advantages of mineral insulated thermocouples, please see our technical reference section.